I totally agree with Zjonni. Mayumis style reminds me of western/ european fashion in the 1920s, but in a modern, japanese way- especially because the colors and patterns are perfectly combined. 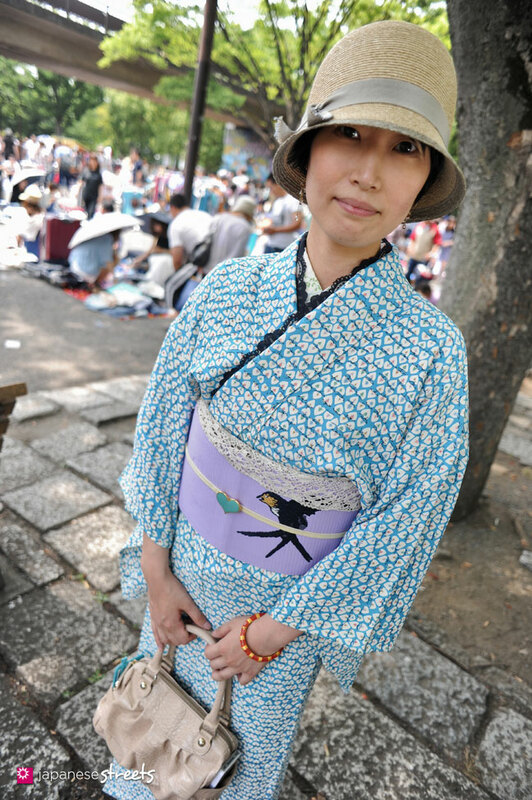 Oh… I love the fabric of her (her grandmother’s) kimono. 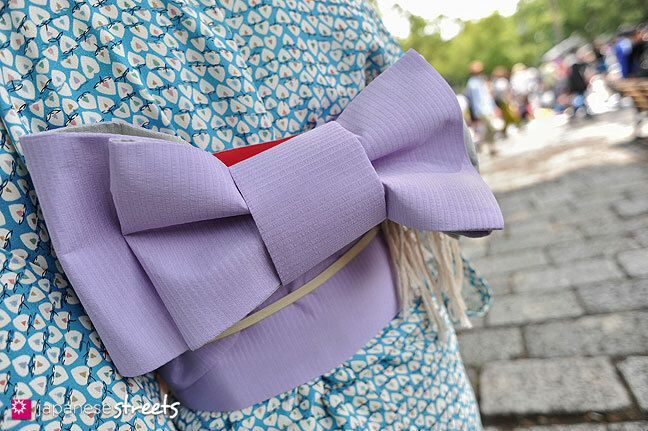 Furthermore I’m amazed how changeable, modern and innovative kimonos can be worn, see for example Kumamiki and Mayumi. I admire both. @Zjonni & Zeuch: Thank you. 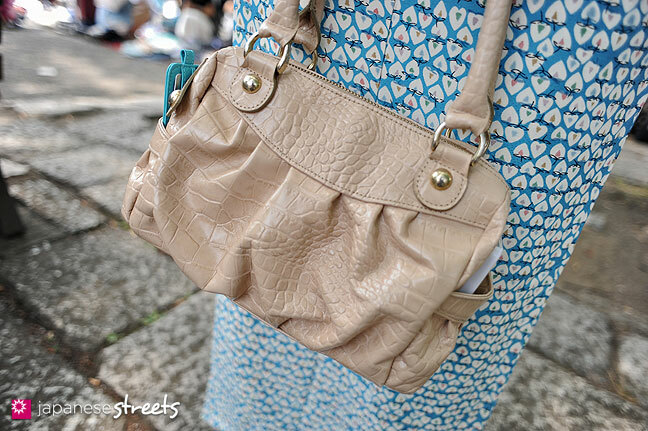 There are several very modern touches to the way Mayumi wears her kimono. 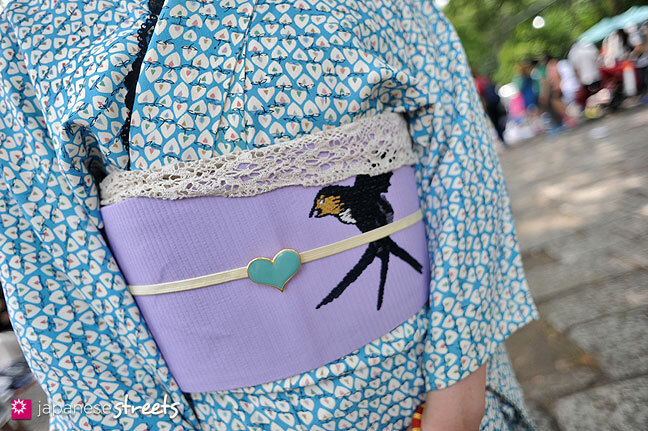 Like the design of the obi (the sash around her waist), the lace, the heart, the scarf and the bracelet. 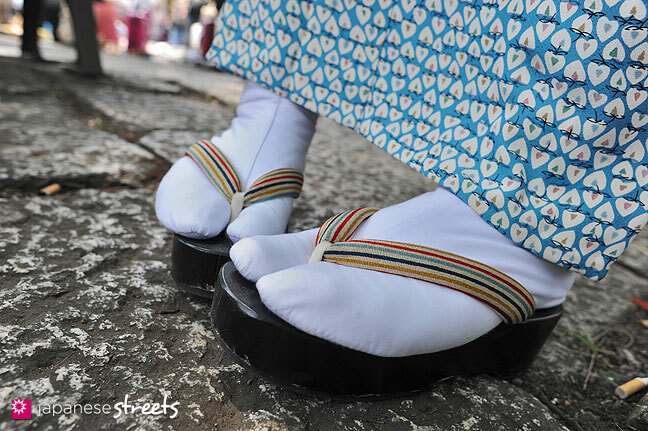 Small things, but small things matter in Japan. 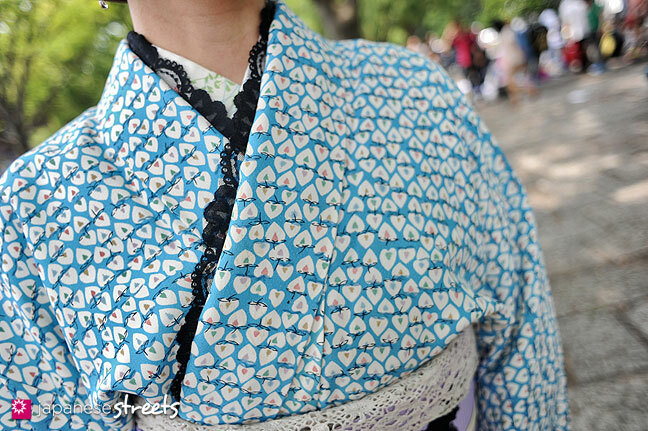 @Kjeld Duits: Kimonos fascinate me and yet I know so little about this garment and the type and traditions to wear it. Thank you for your hints. 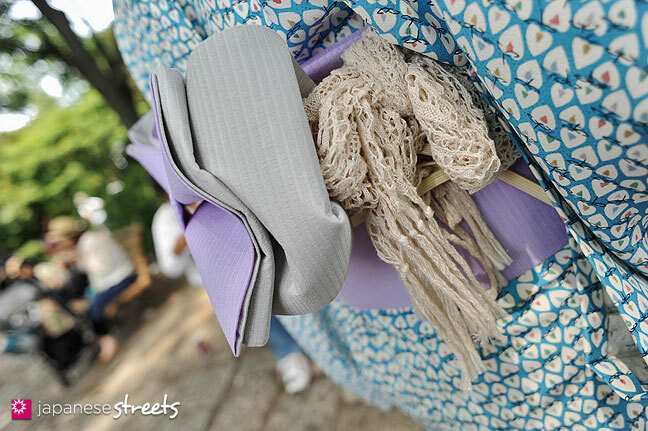 @Zeuch: I’ll keep my eyes open for more modern kimono and yukata (a cotton summer kimono).